The VTB United League tips off on Thursday. Before the games begin, we take a look at what went down over the summer, assessing each club’s chances in the upcoming campaign. Up Next: The Challengers. These teams expect to make the postseason and dream of a surprise run in the playoffs. Andrea Mazzon (head coach), Micah Downs, Coty Clarke, Dramir Zibirov, Maxim Sheleketo, Artem Klimenko, Earvin Morris, Ian Hummer, Justin Robinson. After a rollercoaster 2016-17 season, Avtodor is starting to look more like the free-dealing, offense-minded club we’ve become accustomed to over the years. Don’t be surprised if Saratov regularly breaks 100 points this season and makes a serious run at the postseason. New head coach Andrea Mazzon both endorses the club philosophy and brings much-needed discipline on the court. Avtodor cruised to several preseason wins against Italian competition and made it to the final round of Champions League qualifying, before falling to Capo D’Orlando. They have a tough slate to open VTB United League play, taking on CSKA, Loko and UNICS in the first five games, but there’s no reason Avtodor can’t spring an upset or two. With a little luck, Vladimir Rodionov’s club may even avoid a coaching change this season. Avtodor has always had talented point guards and exciting backcourt tandems. 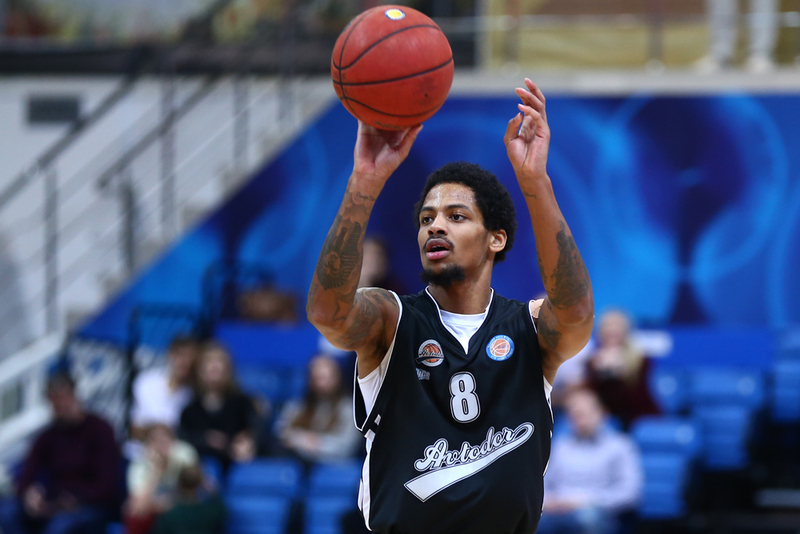 Forward Nick Minnerath dominated last season, but Branden Frazier is returning for a second season and hoping to restore some luster to Avtodor’s guard play. With so many new faces, it’s going to be essential for Frazier to set the tone and get his teammates involved. Saratov’s high-octane offense could also mesh well with Coty Clarke’s game. The forward struggled to make an impact in Kazan last season, but is ready to burnish his reputation as a poor man’s Draymond Green in the Avtodor system. 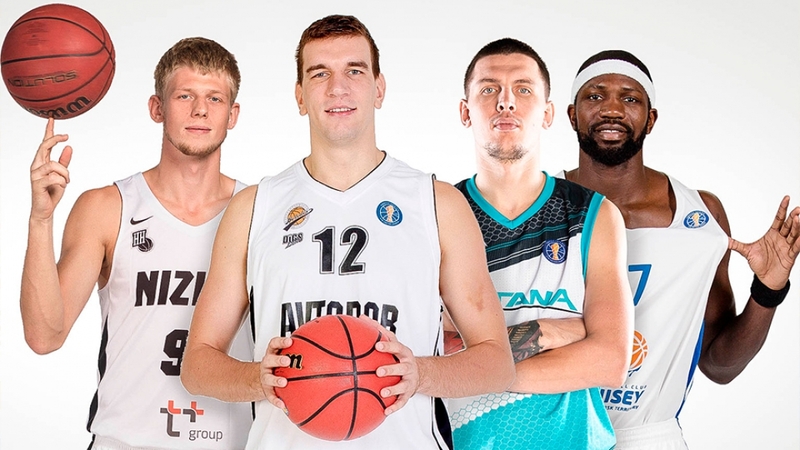 10 – Including preseason and Champions League qualifying, Avtodor has already notched 10 victories, two more than the team recorded all of last season in the VTB United League! Justin Robinson, Branden Frazier, Coty Clarke, Maxim Sheleketo, Artem Klimenko. – We’re going to do everything we can to play hard, physical basketball and make the opposition respect Saratov. I won’t promise anything extravagant. I can only guarantee that our motto is “blood, sweat and tears.” We’re going to run, defend and leave everything on the court. With the roster we have, we simply must make the playoffs and beat the teams no one likes to play against. Kostas Flevarakis (head coach), Anthony Clemmons, Hordur Vilhjalmsson, Ike Udanoh, Anatoly Kolesnikov, Justin Carter, Larry Gordon. Astana returned to the League playoffs last season, won the Kazakh league and opened a training academy. The euphoria began to subside in June when head coach Ilias Papatheodorou was forced to return to Greece due to family obligations. No one was surprised when another Greek, Kostas Flevarakis, was picked to replace him. Astana also replaced most of its foreign players over the summer. The signs from preseason have been promising. After a strong training camp in Lithuania, which included an upset of Zalgiris, Astana finished third at the Asia Champions Cup despite playing without Vilhjalmsson, Udanoh, Gordon and Kaselakis! 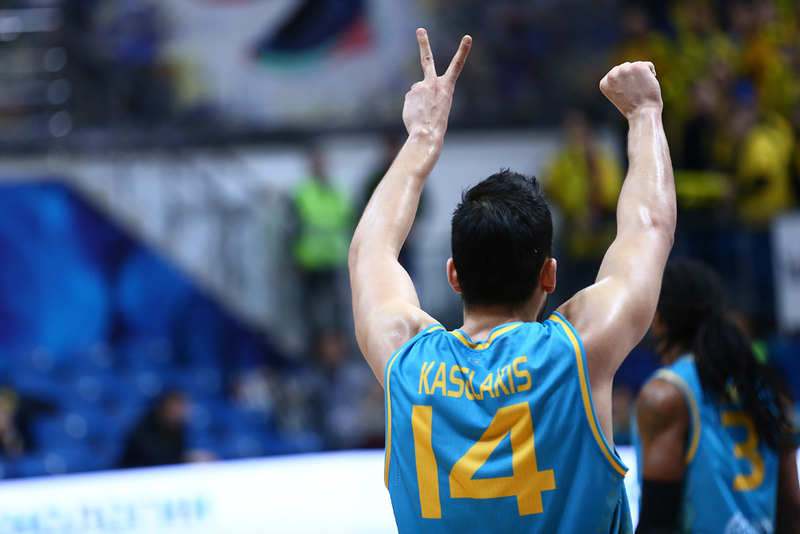 With Flevarakis overseeing a smooth transition, Astana is looking dangerous ahead of the season tip-off. Justin Carter averaged 14.1 points, 5.5 rebounds, 1.8 assists and 1.9 steals per game two seasons ago with Karsiyaka in the EuroLeague before signing with Khimki. 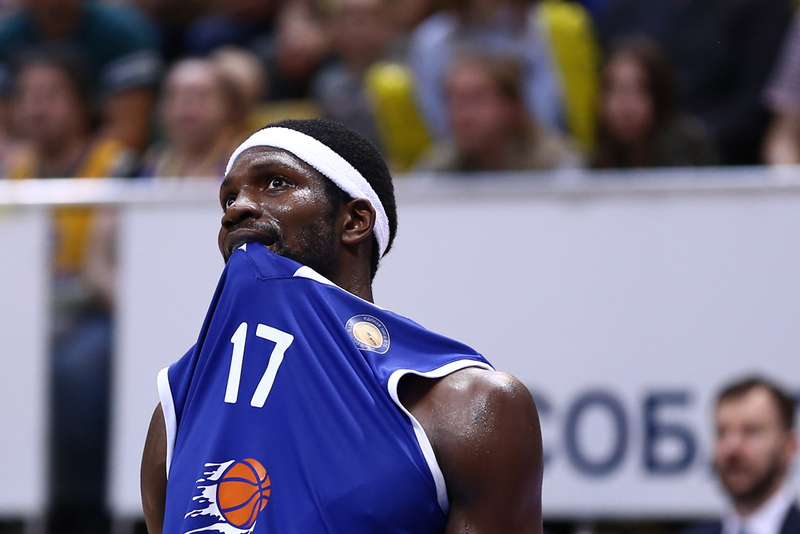 The American didn’t last long in Moscow Region, but finished the year strong in Israel with Maccabi Kiryat-Gat. Though Carter may struggle at bigger clubs, he seems ideally suited to be a leader at Astana. An athletic swingman who can shoot, drive the ball and see the court, don’t be surprised if Carter puts up big numbers and leads Astana on the court this season. 3 – Astana took 3rd place at the Asia Champions Cup this September, the best showing ever by a Kazakh club. Anthony Clemmons, Justin Carter, Leonidas Kaselakis, Anatoly Kolesnikov, Ike Udanoh. – We’re trying to do without expensive, famous personnel, which is why we invited the young, ambitious Kostas Flevarakis, who’s got a solid coaching resume. We have the same high expectations for the team and new roster: Win the domestic league, advance to the VTB League playoffs, grow the academy and improve Astana’s image in all areas. Zabian Dowdell, Octavius Ellis, Denis Zakharov, Vitali Liutych, Alexander Gudumak, Gleb Goldyrev, Artem Komissarov, Matic Rebec. Enisey didn’t have everyone healthy or available for a single preseason game. Newcomer Matic Rebec missed the entire training camp due to Slovenia’s EuroBasket run, then waited two weeks for a visa. Belarus’s Vitali Liutych and Russia’s Sergei Mitusov (Summer Universiade) also spent time on national teams, which cut into preseason preparations. For a variety of reasons, Octavius Ellis, Vasily Zavoruev and Zabian Dowdell missed time as well. Those circumstances forced head coach Oleg Okulov to experiment with the roster. Some of his innovations (Artem Komissarov at power forward and Denis Zakharov at point guard) could be very useful over the course of the season. The Siberians were a sensation last season in the League and hope to build on that success in the upcoming campaign. Enisey had a variety of key contributors and leaders last season. Frank Elegar put up the biggest numbers, but Tony Taylor and Vasily Zavoruev were more in charge of running the team. This season, expect a similar dynamic. Several talented contributors have joined hold-overs Zavoruev, Anthony Hilliard and Suleiman Braimoh, highlighted by Zabian Dowdell, Denis Zakharov (both of whom previously played in Krasnoyarsk) as well as Vitali Liutych. Expectations are especially high for Liutych. He led Belarus to a spot in World Cup qualifying this summer and has been impressive in the preseason. 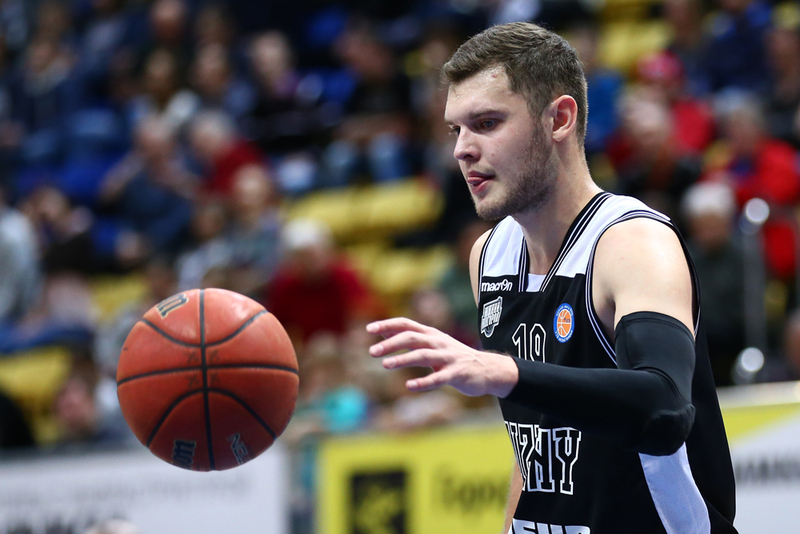 Coming off a big season at Kalev, Liutych is ready to show what he can do in Krasnoyarsk. 1 – the only EuroBasket champion in the VTB United League plays in Krasnoyarsk: Matic Rebec. Zabian Dowdell, Denis Zakharov, Vitali Liutych, Alexander Gudumak, Octavius Ellis. – If we could have picked up 5-6 players from the Russian national team, we probably wouldn’t have signed 15 players and gotten by with 12-13, even with the long flights and multiple competitions. But we don’t have quite as many options. For the most part, these are players that are trying to take the next step. We’ll give them chances and the season will show who’s able to help out and execute. Basketball is a team sport. There are injuries and fatigue. Having the ability to shake things up and keep players motivated will be effective, I believe. Zoran Lukic (head coach), Alexander Zakharov, Artem Komolov, Stevan Jelovac, Vadim Panin, Sterling Gibbs, Maxim Kolyushkin. Zoran Lukic is returning to Nizhny Novgorod where he will try to rebuild the club for the second time in 10 years. Between 2008-14, Lukic took Nizhny from the Russian Superleague to a berth in the VTB United League and ultimately a trip to the League finals. After an 8-16 finish in 2017, he’s got his work cut out for him once again. The recipe for success hasn’t changed: ambitious young Russians that have struggled to click elsewhere and unheralded, but dangerous foreign talent. Early returns have been mixed. The team struggled in preseason, losing to Antwerp in the second round of Champions League qualifying. But Lukic knows a thing or two about patience and won’t be dismayed by a few early setbacks. Stevan Jelovac believes in Lukic’s project. He knows what Nizhny Novgorod can do under the Serb. Playing for Lietuvos Rytas, the forward had a front-row seat to the Russian’s club sensational run to the playoff finals in 2014. Nizhny’s biggest signing in recent years, the high-scoring veteran forward returns to the League after three seasons with Zaragoza, where he was a leader on the team. Expect the same for Jelovac in Nizhny Novgorod. 5 – number of consecutive seasons in the playoffs for Nizhny Novgorod, before missing out in 2017. Ivan Strebkov, Artem Komolov, Vadim Panin, Stevan Jelovac, Ilya Popov. – Our challenge is to create a new squad capable of reaching the EuroLeague. I’m familiar with the challenge as a coach. But this is a new roster, so it will be a new experience. It’s not that simple. Everyone wants to win. Plenty of people want us to get there quickly, but it’s not as easy as you might like.